Share the gift of tree time. An important occasion calls for something special and a private Forest Wellness Walk is a great way to celebrate and connect. Or maybe life is super-busy and you need a chance to take a breath. A private walk is like a mini-vacation -- a chance to "get away" when you just can't get away. Celebrate a birthday, anniversary, or other special day with a private Forest Wellness Walk. Connect with each other and with nature and create lasting memories. For two of you, or a group of up to 18 people, 1.5 to 3 hours. 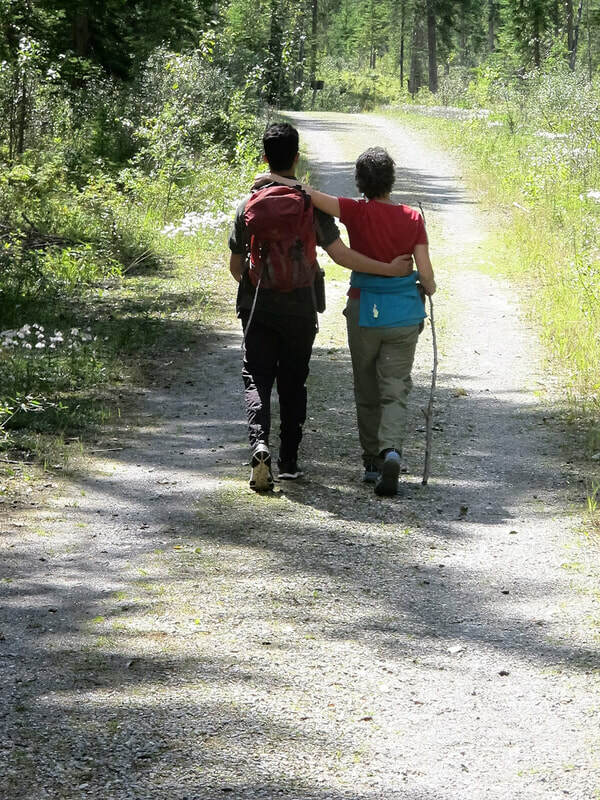 We are also happy to guide an individual walk -- give it as a gift or give yourself the gift of personalized attention from a Forest Therapy Guide. Or maybe you're self-employed or you're an entrepreneur or activist, running hard to achieve your goals -- and you need an easy way to press the pause button, re-energize and re-connect with your vision and inspiration. Invite people in your networks to take a mini-vacation and join you for a private walk.